Jorge, Jenny and Alberto took a trip to Venice last weekend to visit the Architecture Biennale as part of their continuing professional development. The exhibition, one of the most important within the industry, focused on the theme of ‘common ground’ for 2012. 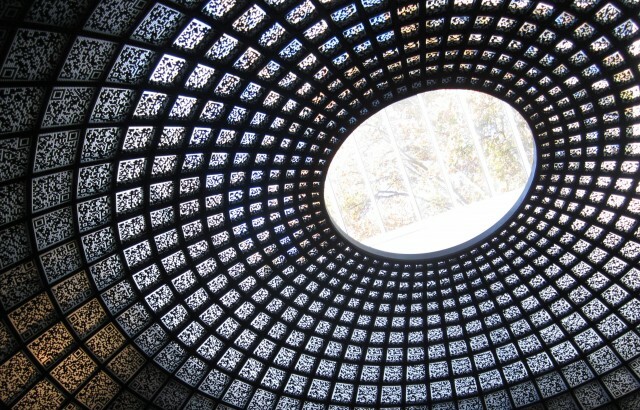 Highlights included the Russian Pavilion wrapped exclusively in QR codes, where, upon entry to the space, visitors were handed tablets to scan the codes and learn about the Strolkovo Innovation Centre. Information delivery at its most striking!